If you met me at work, you’d probably perceive me as a South Asian woman who works as an engineer. Most people do. (If this is your first time hearing about genders outside the gender binary, I’d highly recommend reading The Gender Book, this article on nonbinary gender, or the TransWhat? guide towards allyship. My experience of gender affects both my personal and political life. For starters, I use they/them/their pronouns instead of she/her pronouns. I’ve found amazing friendships and community with people who don’t attempt to assign artificial gender expectations to my identity. I hate being described as a woman and I often feel dysphoric in situations in which I am perceived as one. I spend a lot of time thinking about masculinity and masculine power structures. The list goes on. It’s impossible to separate my gender expression from the ways in which I interact with the world. Exploring my gender identity has had its ups and downs, but my entry into Silicon Valley posed a new set of dilemmas. In an environment in which the fight for women in tech is hard enough, I often felt selfish and guilty for identifying as non-binary. When the men on my team expressed that they thought it was important to have a more balanced gender ratio, I felt as though asking for a more nuanced understanding of gender was asking for too much. When I declined invitations for women’s events without an explanation, I frequently felt I was letting down my friends who are women in tech just because I did not identify as one. There were times when I couldn’t believe that I was even considering spending several years within an industry that would continuously contribute to the internal conflict that I already felt. When there is barely enough space for cis women in tech to express their gender identities, there almost certainly isn’t space for trans or nonbinary identities. I didn’t always think about gender like this. I grew up without any knowledge of trans identities. I was taught that gender inequality was about the way men treated women. I thought that sexism was what happened when individual men, who were probably just bad people to begin with, were mean to individual women. Over the years, my understanding of sexism, gender inequality, and feminism evolved. But it was only when I started to understand my own identity outside the gender binary that I started to think about the root causes of power dynamics that enact themselves within our communities. I started to see that it wasn’t as simple as I thought it was. Gatherings of communities that claimed shared identities could still have harmful power dynamics and hierarchies. For example, when I started spend time in certain LGBT community spaces, I was surprised to find that the majority of people in the space were gay white men and that they frequently still acted in racist or patriarchal ways without ever acknowledging their power and privilege. It seemed like they had forgotten that even though they were gay, they were still white men. It’s often difficult to bring these conversations to the forefront of mainstream issues. People are willing to talk about gender, race, class, and sexual orientation as individual issues, but rarely acknowledge the fact that they always exist together. These occurrences aren’t just nuances or afterthoughts —in many cases, they perpetuate harm in some very serious ways. Initiatives promoting diversity in tech have yet to address the concept that we can be excluded from tech and simultaneously be perpetuating power dynamics that exclude other people from tech. Intersectionality isn’t just a theory or a thought. It’s the fact that many of us are affected by multiple power structures. With this view, it follows that the solutions or efforts to oppose those power structures must be as multi-faceted as our identities. Although there are several communities that focus on gender equality within the tech industry, most of those organizations don’t frequently address or acknowledge the challenges that come with being a woman of color, being trans, or being from a different class or educational background. If those sound like ‘race issues’ or ‘trans issues’ and not ‘women’s issues’ to you, let me be clear. There is no gender justice without racial and economic justice. To talk about gender without talking about race is to ignore the people who identify as both gender and racial minorities. Although most companies have not made their demographics data public, initial statistics and lived experiences of gender minorities of color suggest that most of the women in tech also have racial privilege. The somewhat homogeneous makeup of the women in tech movement is frustrating because it is currently the most visible and perhaps largest diversity in tech initiative that we have. For diversity initiatives to be more effective, they need to include an analysis of race, class, and gender. This isn’t an idea that I came up with – women of color have been saying it for decades. The solution has less to do with packaging the people who are excluded into parcels of diversity that the industry will swallow, and more to do with dismantling the power structures that come with the racial and gender makeup of the industry. When attempting to address diversity problems in the tech industry, it’s important to not perpetuate other existing power structures. Gender justice and queer justice cannot happen without racial and economic justice. As many of us know, if we’re not intentional about diversity, the status quo pushes us further and further away from it. We need a more nuanced understanding of gender and what it means to be fighting for gender equality. There are many valid reasons that women in tech groups would host women-only events, but it’s important to think about the purpose and execution of those policies. If the purpose of the event is to support gender minorities in tech, then the event needs to be inclusive and supportive of trans individuals, regardless of whether or not they identify as women. When it comes to interpersonal interactions, one place to start is asking for pronouns, maintaining gender-neutral language when applicable, and not assuming gender identities. 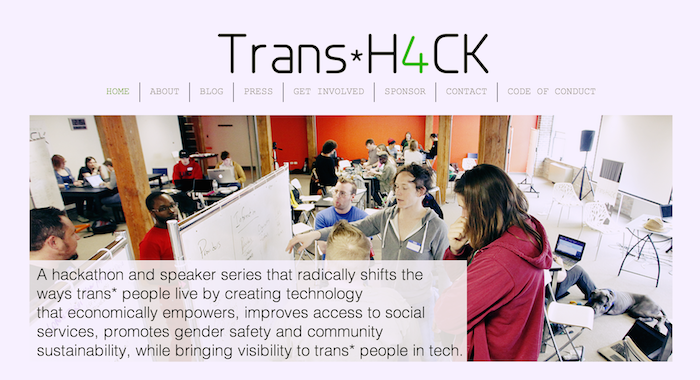 Screenshot from the Trans*H4CK website. If the event is holding a space specifically for women, then at the bare minimum it needs to be publicly and openly supportive of trans women. It has been encouraging to see a few women in tech groups state that they are accepting of trans women or genderqueer people. But it’s important to think about what that actually means. In order to be accepting of trans people, there needs to be an awareness of trans identities, but more importantly, a culture of making sure interpersonal interactions are not cissexist. 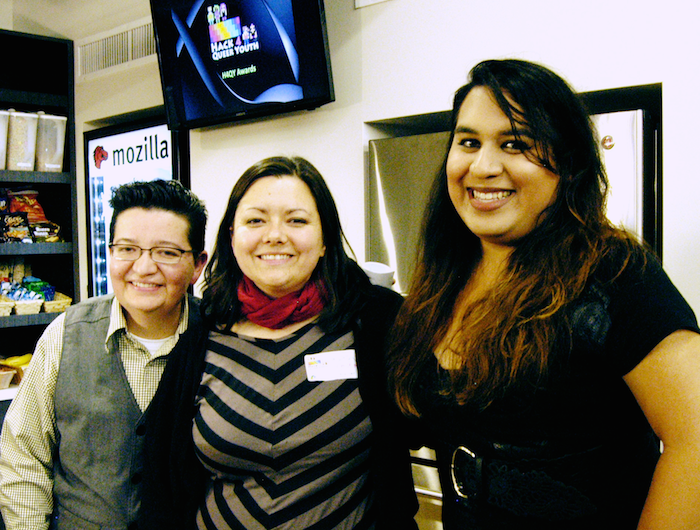 I am not a trans woman and as a result, am in no place to speak from the perspective of trans women in tech. However, there are several amazing women (such as Lynn Cyrin and Teagan Widmer) who have written and spoken about their thoughts on transphobia in the tech world. 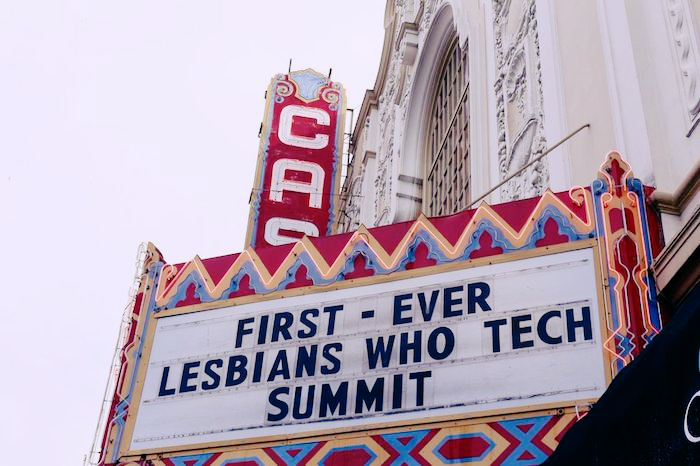 At the very least, women in tech organizations need to have internal education on transmisogyny, cissexist language, and how to create spaces that are accountable to the experiences of trans women. When we think about race as an issue outside gender/sexuality, we erase the experiences of everyone who identifies as both a person of color and a gender/sexual minority. This means that when there are events held for gender minorities, there need to be steps taken to make sure that the folks who are organizing the event also maintain an anti-racist perspective. That might sound simple – “Of course I’m not a racist!” — but truly recognizing racial privilege and making sure that there is meaningful action taken against racial injustice actually takes quite a bit of work. That means that when organizing panels and women’s speaker series, gender and racial diversity needs to be represented. We all know how awful it feels to sit through an event where everyone who is on stage is a white man. Having events where everyone on who is on stage is a white woman is not the solution. In addition to thinking about representation, it’s important to hold events and spaces where members of the organization can actually talk about racial privilege and anti-racist practices. Silicon Valley has created an ecosystem in which it is very difficult to enter unless you have some form of class privilege. 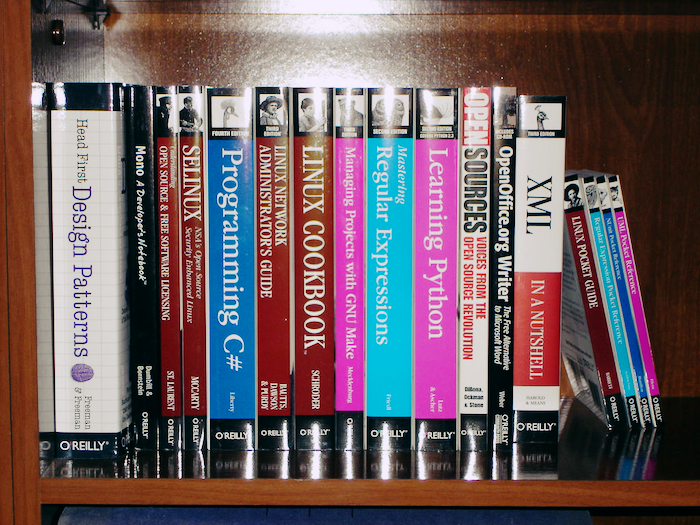 Most companies require college degrees from job applicants, and the ones that don’t require the job applicant to have had enough time and money to “self-learn”. This affects gender and racial minorities disproportionately. While priding itself on creating an entrepreneurial market in which everyone can succeed, Silicon Valley fails to create even a somewhat equitable job market. These barriers are deepened when diversity is framed only as a potential business advantage. This creates a structure in which only people whose identities have been studied and proven to have a positive financial impact on companies are considered worth including in Silicon Valley. It’s no secret that Silicon Valley has had negative impacts on low-income communities. We as tech workers are also complicit in gentrification and displacement, regardless of our gender identity. As Erin McElroy outlines, there are concrete steps we can take in order to support the communities that Silicon Valley damages. As Hannah Howard eloquently described, we shouldn’t just be thinking about the gender minorities in tech who are employed in higher-paying roles. What about the people that the tech industry employs as janitors, cafeteria staff, and security guards? Whether or not they identify as women, they are often overlooked and mistreated by large corporations. With both displacement and labor issues, as employees within the tech industry, we have the opportunity to start these conversations with our coworkers and managers, and support the folks who are organizing in support of working class communities. The folks at the Service Employees International Union are coming up with some meaningful ways in which we can support the workers in the tech industry through the Tech Can Do Better Project. Even companies who publicly support gender equality and queer equality conveniently forget that their negative impacts on working class communities also affect gender and sexual minorities. For example, nearly 40% of homeless youth identify as LGBT and are affected by race and class-based power structures. Large companies such as Google publicly support LGBT equality while displacing many low-income people of color, some of whom identify as queer, and thus perpetuate queer (youth) homelessness. Women in tech organizations have an exciting opportunity. Since they’re already working with women who care about inequality in tech, they have the opportunity to expand the framing of said inequality. This could happen through workshops, reading groups, or panels. This doesn’t just apply to white women. As a South Asian, I know that I hold relative racial privilege largely due to the assimilation of the South Asian diaspora. My experience as an educationally privileged South Asian whose parents both work in tech should not be generalized to represent the experience of all POC in tech. If all of this seems like a lot to take on, I agree. It’s also a lot for any individual who holds these identities to have to face. It’s our responsibility as folks who are working towards diversity in tech to actually address some of the deeper problems that Silicon Valley creates. I’m not suggesting that every single organization needs to broadly focus on every issue mentioned above. I am suggesting that organizations continue to work on the focus areas they’ve outlined, while being accountable to other issues. Internal education and culture changes, as well as public and financial support to organizations who work on issues pertaining to racial and economic justice, are both huge steps that we need to take in order to truly work towards diversity in tech.